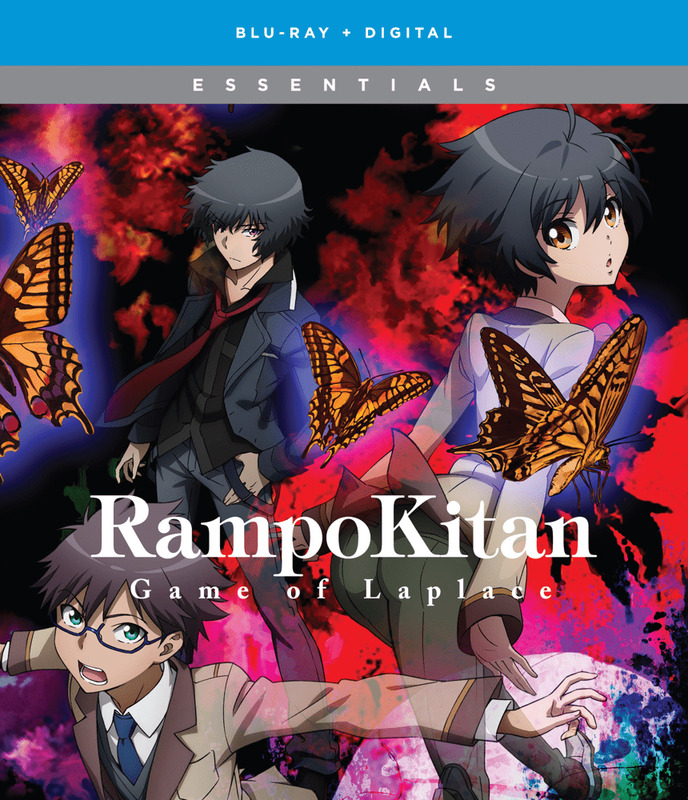 Inspired by the works of Edogawa Rampo, Rampo Kitan: Game of Laplace tells a macabre detective story rife with symbolism and visual tricks that exist somewhere in the delicate balance between gruesome and gorgeous. Middle school life was dull for the intelligent and charismatic Kobayashi, until the day he was framed for his homeroom teacher's murder. After the event drew the media's attention, an infamous high school detective inserted himself into the investigation. Brooding and brilliant, Akechi quickly cleared Kobayashi's name and took the inquisitive young student on as his assistant. But for every case they closed, two more seemed to open in its place. The streets were alive with whispers of one deadly name, Twenty Faces--a legendary murderer who killed criminals in the name of justice. With cryptic clues leading the way, Kobayashi and Akechi began following the trail of bodies left by the prolific killer. But will they be able to stop him before countless innocent people, inspired by his deranged cause, start following his lead?